A fatal mistake that most schools make when marketing their adult learning programs is they often talk too much about themselves: what makes their program worth the sticker price, the flexibility and convenience of their offerings, and the qualifications and commitment of their faculty. Of course, these offerings do indeed matter to prospective adult students and need to be communicated. But the problem isn’t that most schools are not communicating them, but that they’re not communicating them in the right way. In other words, what makes some adult programs stand apart from the rest is their commitment to placing their adult audience—and not the brand of the university—at the center of the story they are telling with their marketing. The challenge is telling your program’s story in the right way: the way that actually matters to prospective adult students. This webinar, hosted by Abound, will explain how to elevate your school’s brand in the minds of prospective adult students by using a proven and easy-to-follow framework that puts your prospective student at the center of your brand’s story. By positioning your school and program as the helpful and knowledgeable “guide”—as opposed to the “hero”—you can communicate the value and benefit of your program in a proven way that captures prospective students’ attention and ultimately wins their trust and enrollment. What’s more, this technique doesn't only work to meet enrollment goals, but it can also help your school reach fundraising, engagement, recruitment, retainment and other institutional goals critical for success in the higher ed landscape of today. By the end of the webinar, you’ll have a simple and easy-to-implement plan that you can put into action right away to start elevating your adult programs in the minds of your audience. Abound’s mission is simple: connecting adults students to the right college by focusing on what matters most. The truth is that not every school is a good fit for every student—especially when it comes to adult students who are often juggling several life commitments while looking for a quality and affordable program. Selecting the right school isn’t merely about selecting the most prestigious or “brand-name” institution, but rather about finding a place that enables students to learn, grow, and succeed. Abound’s team has been working in higher education since 2000 to help prospective students find schools that are truly good fits for them, all while helping great colleges gain the distinction and visibility they deserve. 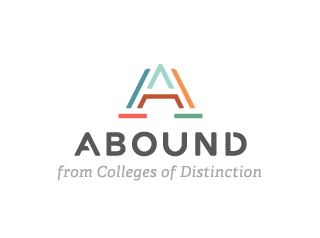 Join Tyson Schritter, Chief Operating Officer of Abound and Colleges of Distinction, for this free webinar to learn how to elevate your brand for adult learners. In his role as Chief Operating Officer, Tyson helps colleges and universities transform their brands by equipping them with marketing tools that highlight their greatness. Tyson’s book “Reaching Beyond Rankings: How to Use College Evaluation Systems to Find Your Dream School” helps students make sense of college rankings in conjunction with other systems to find the right school for them. With a passion for higher education, Tyson is dedicated to helping colleges thrive in a rapidly changing market. Now a 10-year resident of Austin, Texas, Tyson feels senior enough to gripe about the city’s rapid pace of growth and escalating traffic. He is also an extremely passionate baseball fan and often aligns his college visits with the Cubs’ out-of-town schedule. Please join us for this interactive webinar on Thursday, June 6, 1 p.m. central.